Thank goodness, thank goodness it's FRIDAY! This week has been a good one but boy am I exhausted. I love doing Friday wrap-ups…it's the perfect signal for the weekend. I don't know if you have read this series or are too scared to read them but it was the best series (next to the Hunger Games) that I have ever read and the trailer is AMAZING. I was jumping up and screaming I was so excited…I hope you will be too. I know, I know, the books are on the inappropriate side but there is something about them that leads you wanting to read more…they are just that good. Oh, and let's not forget a special remix of Beyonce's "Crazy in Love" is in the trailer too. My 9 year old brother stayed with Adam and I last night, both my parents are out of town. Anyways, we took him to the park to ride his skateboard and play on the playground. Adam and I obviously played on the playground too, who wouldn't? Well, Adam was hanging on something and my brother de-pantsed him. I mean, his pants were at his ankles. It was funny, embarrassing and frustrating all at the same time. Boys will be boys I guess. School starts soon here in the midwest and although I already graduated I still participate in the annual school supply shopping. 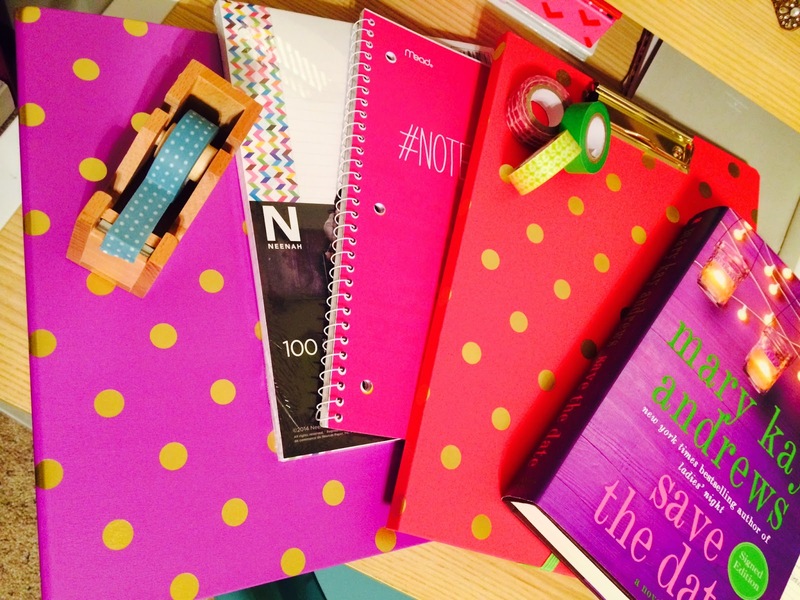 This is one of my favorite times of the year…notebooks and pencils and rulers OH MY!! 4 // Laughter is the best medicine. See one of my favorite bloggers post about this…so good and so true. I don't know if you have ever tried a barre class or have heard of them…but look them up. I go to one at Form Fitness here in town and it is amazing. The class is all about toning and sculpting your muscles. It is a hard workout but the results are wonderful.